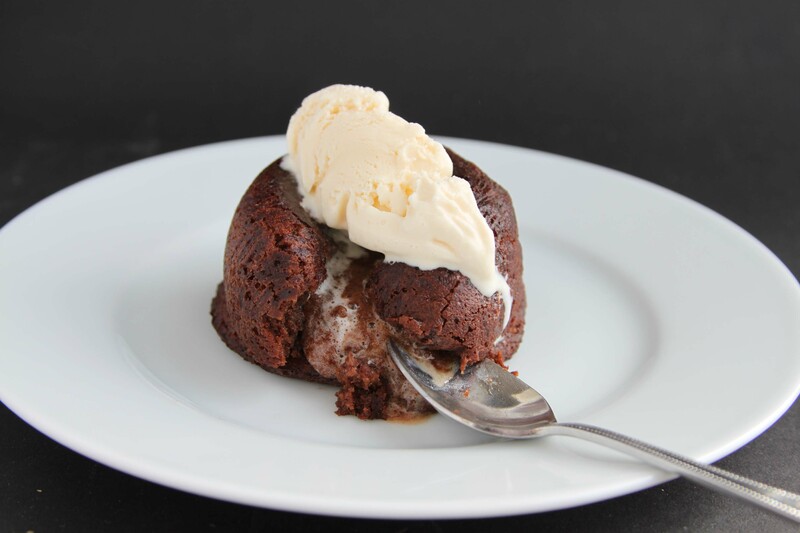 I love a good chocolate fondant and wasn’t convinced there was any need to gild the lily but this salted caramel idea just wouldn’t go away and I knew I had to have a go at making it. Just out of interest you understand……. So this is the pudding I teased you with around Valentine’s and I thought it would be perfect for Mothering Sunday should you still be without a pudding or as an early Easter treat. These puddings are sublime, honestly beyond fabulous. 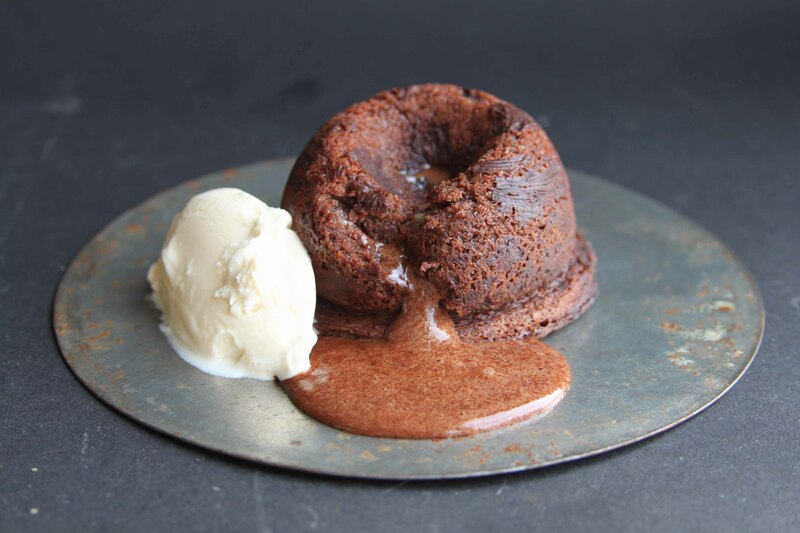 A crisp chocolate outer gives way to a soft chocolate pudding containing molten caramel sauce within. They are so good. Surprisingly they also very easy to make and sit happily in the fridge until you want to cook them. As long as the oven is at 200 and you cook them for exactly 12 minutes they will be perfect. I am no expert baker but if I can do them then anyone can. I am all for quick and easy and although these puds fit that bill you will need to make the caramel ahead of time so it can set firm. This only takes a few hours but I made it a day ahead so I could forget about it. You can also make the puddings the day ahead and keep in the fridge. If you remember put the caramel in the freezer when you start making the puddings just to give them an extra chill – this keeps the sauce together rather than it melting straight into the puddings. Miss the salt out if you think you or your children would prefer Caramel Chocolate Fondants. Heat the butter, sugar and cream in a pan and let it simmer for 5 minutes. Add the vanilla and a good pinch of salt. When it is cold enough to taste try it, you may want more salt then put this caramel in a small bowl in the fridge to set. 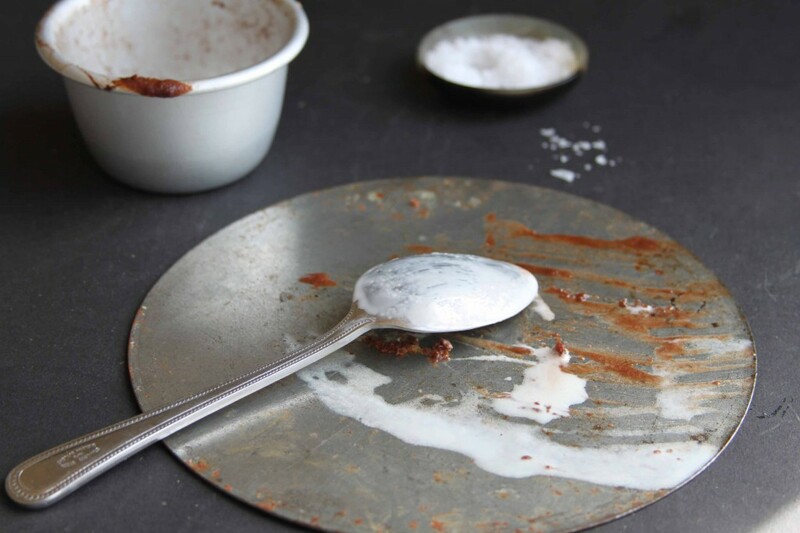 Grease 4 metal pudding tins with the melted butter then dust each one with cocoa. Put in the fridge until you need them. Melt the butter and chocolate in a bowl over a pan of barely simmering water. Whisk the eggs and sugar together until pale, frothy and at least doubled in volume. Mix the chocolate mixture into the eggs, add the coffee and then gently fold in the flour along with a pinch of salt. Half fill each greased tin with the chocolate mixture then add a teaspoonful of the cold caramel, it may sink a bit but don’t worry. Pour the remaining mix over the caramel to fill the tins. Put the puddings into the fridge for at least half an hour whilst you preheat the oven to 200. Cook the puddings for exactly 12 minutes, then remove from the oven, turn out onto plates and serve with cream or ice cream. This makes four but it is up to you how many it serves….. This entry was posted in Cakes, Food, Puddings and tagged Caramel, Chocolate, fondants, pudding, salted caramel by Anna. Bookmark the permalink. Does anyone know if puddings can be frozen before cooking? I have just made 6 from above mixing, as a trial!!! Can’t’ sample them all!! I’m sure they can be frozen, let me know. Enjoy trying your samples! These look heavenly Anna! I have a serious weakness for salted caramel (and puddings 😉 Can’t wait to try them, maybe with some homemade vanilla ice cream….. I have to be honest, these didn’t work when I made them the other day so I thought I better check the recipe again or it shouldn’t be on my blog. I made two, which worked perfectly (I realised the oven temperature had been incorrect) and then having made them I ate them, both!! Wow – that first photo is very hard to get past. Is it normal to look at a photo for 5 minutes? You know 5 minutes is probably a lot longer than it took me to eat it – now is that normal!! 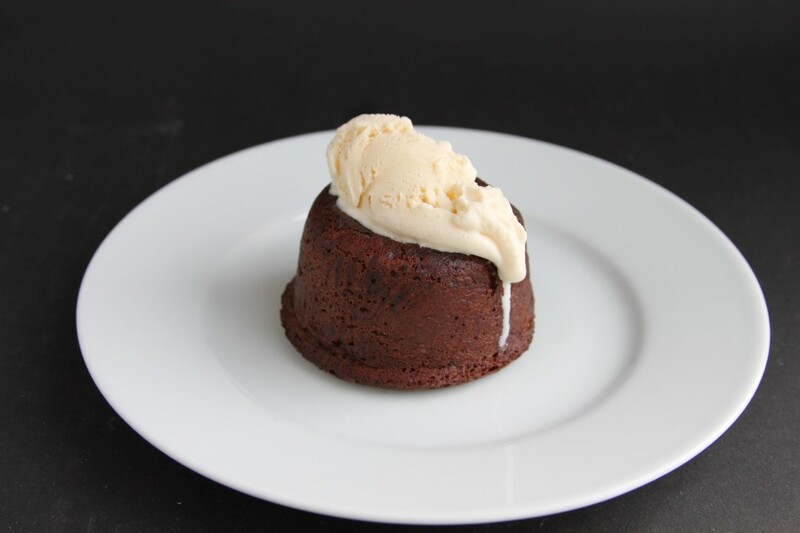 You just made molten lava cakes so much better and I didn’t even know that was possible! My husband is going to flip over these! I see these very soon in our future. Pinned! Thank you Sam, they are too good!